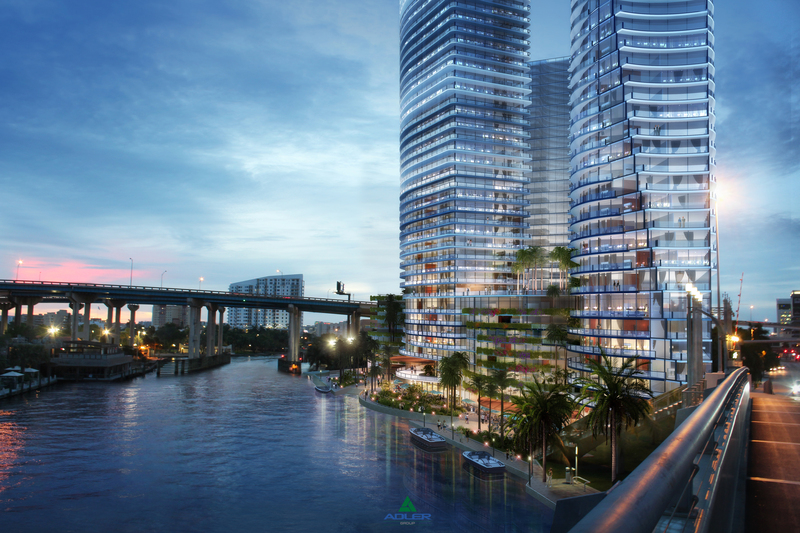 In the summer of 2015, Lancelot Miami River LLC, an affiliate of Adler Development, purchased a 1.59 acre development site located at 230 SW 3rd Street, directly adjacent to the Miami River. 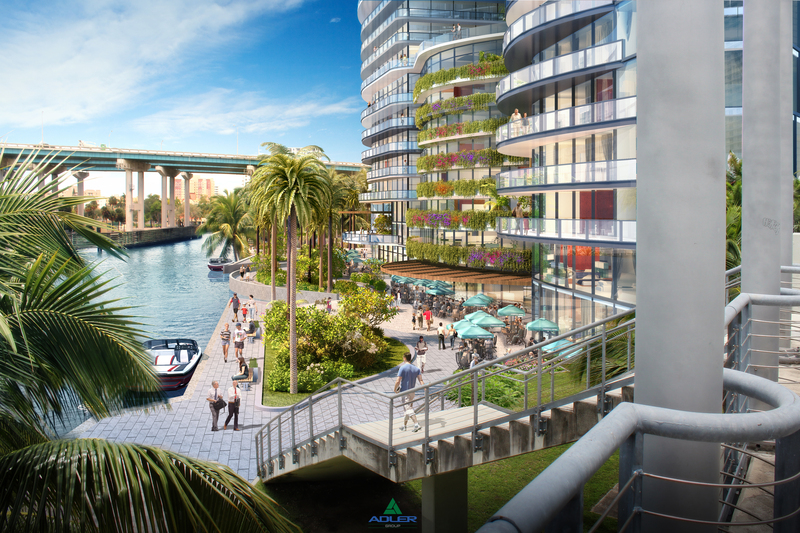 In early 2016 the City of Miami issued a Request For Proposals for a new administrative facility and an Offering Memorandum to monetize their existing building and property on the Miami River. 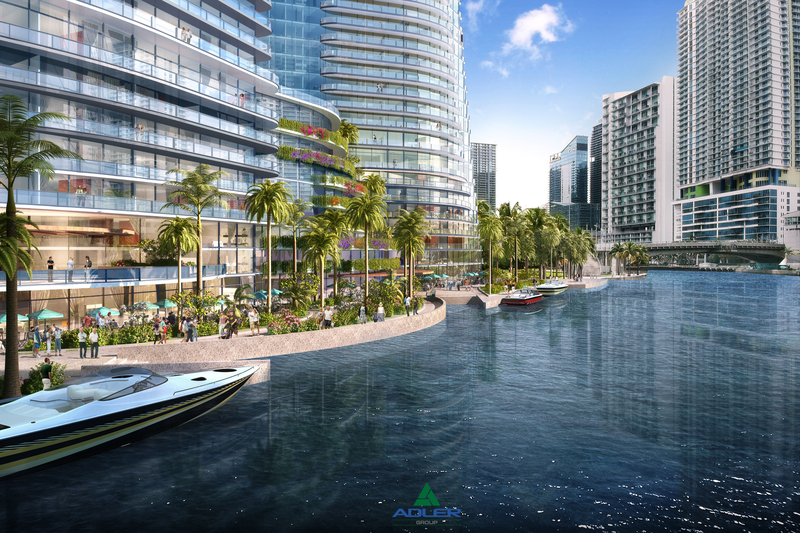 Upon the City’s acceptance of Adler’s bid on the RFP & OM, Adler revised it’s original plans featuring a 36-story residential tower with 463 units. 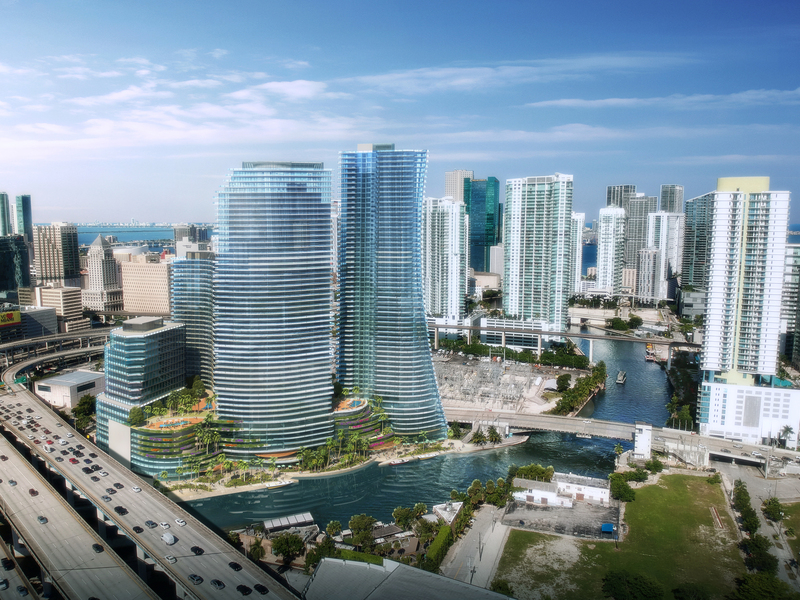 The new plan calls for the development of four towers; City office 280,000 square feet, multi-family 325 rental units, and two additional residential towers with approximately 1.2 million of combined square footage.